Soldiers with 1st Battalion, 7th Field Artillery Regiment, pay their respects to Spc. 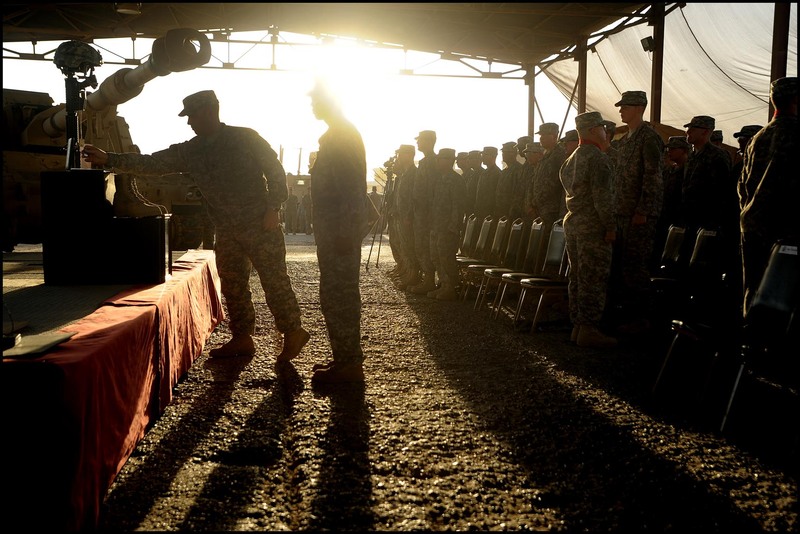 Marcos Cintron during a memorial service held in his honor at Forward Operating Base Loyalty, near Baghdad, Iraq. Cintron, a cannon crew member with the unit, was killed along with five other Soldiers from the unit in a rocket and mortar attack on the base.